Presidio's loss could be Chicago's gain. 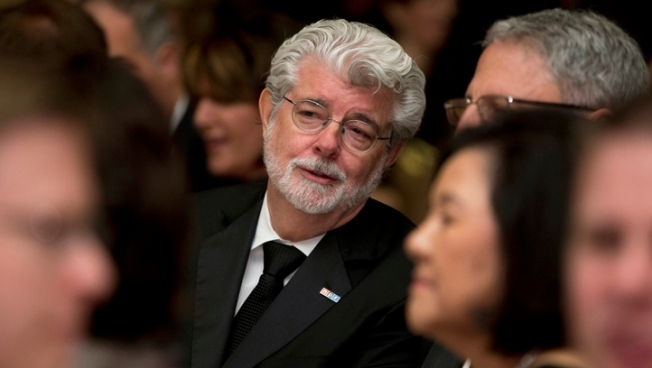 George Lucas is working with Chicago to put his $300 million museum there, after talks with the Presidio failed. George Lucas wants to go to Chicago. And the Windy City wants the "Star Wars" creator's $300 million museum -- since San Francisco says, "meh." Lucas's plans to build the "Lucas Cultural Arts Museum" to house his personal collection of Norman Rockwell paintings and movie memorabilia -- including a "scale model" of Han Solo's legendary Millennium Falcon -- in the Presidio of San Francisco have "stalled," according to the Chicago Tribune. And leaders in Chicago, from Mayor Rahm Emanuel on down, are getting behind the part-time Chicago resident's thoughts to put the museum there. Lucas, who is married to a Chicago investment executive, considers Chicago his "second home," he said in a statement. Meanwhile, other cities are also in the running to nab Lucas's museum -- and San Francisco isn't out of the running, either: the Presidio Trust, which rejected Lucas's proposal for a Crissy Field spot, can still be convinced.